A surveillance mission earlier this month with Homeland Security agents in drug transit zones near South America highlights the department’s efforts to push out the border. Just after takeoff from a Costa Rican airfield, a crew of agents aboard a Customs and Border Protection surveillance plane began tracking a low-flying aircraft that appeared to be headed south toward Ecuador. The aircraft, which intelligence reports reviewed by agents indicated had no flight plan, flew just a few hundred feet above the ocean — an apparent attempt to avoid detection by radar. “When they are flying that low, they’re probably up to no good,” said Timothy Flynn, a senior detection agent, watching the plane on a radar screen. An hour later, and hiding in the cloud cover to stay out of sight, the American P-3 pulled up behind the plane. An agent with a long-lens digital camera snapped a string of photos of the plane’s tail number and other identifying details. Mr. Flynn radioed the information to authorities in Ecuador who were waiting when the plane landed, arresting seven people and seizing more than 800 pounds of cocaine aboard. 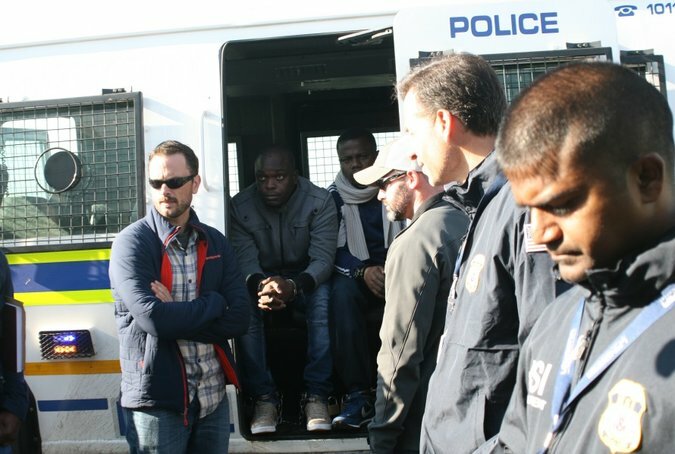 Suspected members of the “Yahoo Boys,” a Nigerian criminal ring, were arrested by Homeland Security Investigations agents and the South African Police Service in Pretoria in 2014. Ecuador may embrace the Homeland Security agents, but other allies say the department’s foreign reach is a stretch. In Germany, some lawmakers have questioned the department’s counterterrorism Immigration Advisory Program, where travelers at foreign airports are investigated and sometimes interviewed by plainclothes Customs and Border Protection officers before they are allowed to board flights to the United States. Those American officers can recommend that airlines deny boarding to foreign passengers. A Government Accountability Office report found that the customs officers stopped 8,100 known or suspected terrorists, or individuals with connections to terrorist groups, from traveling to the United States in 2015, the most recent year that data is available. Canadians flooded their prime minister’s office in August with letters and emails protesting legislation to allow American customs officers stationed at Canadian airports and train stations to question, search and detain Canadian citizens. Unnamed government officials told the Canadian Broadcasting System that the volume of mail received was “unprecedented” and took officials by surprise. The measure passed two weeks ago after Ralph Goodale, Canada’s public safety minister, assured Parliament that the American officers would rarely use their authority to question or detain Canadian citizens. More than 400 Homeland Security employees are stationed in Canada — the most of any foreign country — which Mr. Goodale called a benefit to both nations. In Tanzania, Immigration and Customs Enforcement investigators were accused in May of using “Mafia-style” tactics for helping to extradite suspects accused of drug smuggling to the United States before their appeal to block the transfer was concluded. The costs of the Homeland Security operations abroad also have raised questions by critics in the United States. The P-3 Orion surveillance planes patrol more than 42 million square miles in the Gulf of Mexico, the Caribbean Sea and the Pacific Ocean — an area almost 14 times the size of the continental United States. One congressional report found that the cost of stationing an Immigration and Customs Enforcement agent overseas is about four times as expensive as a domestic post. And in September testimony to the House Homeland Security Committee, the National Treasury Employees Union raised concerns about plans to deploy additional customs officers abroad amid “critical staffing shortages at the nation’s ports of entry.” The union represents 25,000 Customs and Border Protection employees. Lawmakers have asked Homeland Security officials to evaluate the costs and benefits of deploying thousands of employees overseas while the department is looking to hire 15,000 new ICE and border patrol agents in the United States as part of President Trump’s crackdown on illegal immigration. Kevin K. McAleenan, the acting commissioner of Customs and Border Protection, said nearly 1,000 agency employees are stationed abroad, more than from any other a branch of the Department of Homeland Security. They screen passengers at airports, inspect cargo being loaded on ships bound for the United States and train other nations’ customs and border officials. Additionally, a special tactical unit of border patrol agents, known as BORTAC, has worked in nearly 30 countries to train in counterterrorism and counternarcotics missions. Kevin Martinson, the Customs and Border Protection attaché at the United States Embassy in Nairobi, said a training program for Kenyan customs officials and its Rural Border Patrol has led to record seizures of narcotics and other smuggled goods. Mr. Martinson, who coordinates the agency’s efforts in nine African countries, said the training has also helped Kenya secure its borders and guard against groups like the Shabab, a militant organization based in neighboring Somalia. He said the American-trained Rural Border Patrol recently repelled an attack by the extremists and captured one of its assailants. In South Africa, Homeland Security Investigations special agents who are stationed at the United States Embassy in Pretoria have targeted drug smugglers, wildlife traffickers and Nigerian scammers. The agents, who work for a division of ICE, are among 300 investigators in nearly 50 countries worldwide. Steve R. Martin, the special agent in charge in Pretoria, said the unit’s role in a recent operation to arrest Tanzanian drug smuggler Ali Khatib Haji Hassan is a case in point. Investigators first began looking into Mr. Hassan in 2012, after a member of his drug smuggling group was arrested at a Houston airport. Mr. Hassan, who is also known as “Shkuba” and had operated out of South Africa, was designated a major international drug kingpin last year by the Treasury Department. According to court documents and interviews with Homeland Security agents in Pretoria, Mr. Hassan ran a global drug smuggling organization that obtained large quantities of heroin from sources in Pakistan and Iran, and cocaine from South American suppliers. Some of the drugs ultimately ended up on the streets in American cities and were traced back to Mr. Hassan’s organization. He and two associates were arrested by Tanzanian authorities; all three men were extradited to the United States in May and are awaiting trial. Operations like the South African drug smuggling case have led the Department of Homeland Security to push to hire more Immigration and Customs Enforcement special agents and analysts in embassy attaché offices in Honduras, Guatemala and El Salvador — countries that serve as transit points for drugs and illegal migrants. Customs and Border Protection is also seeking to expand its presence at airports abroad. 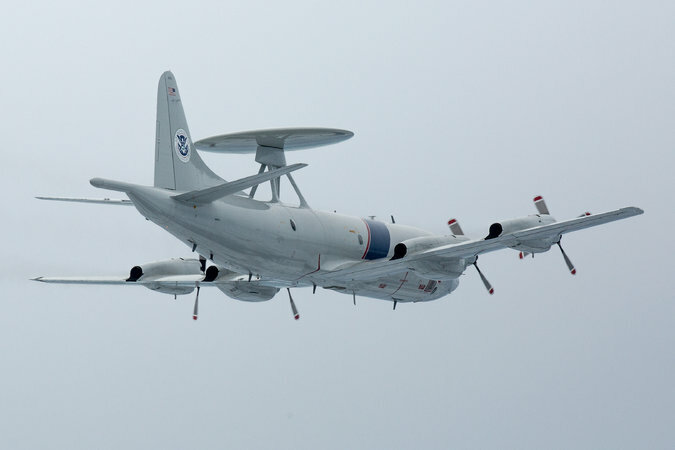 For all of its foreign-based programs and far-flung employees, the mission of the P-3 surveillance plane may be the Department of Homeland Security program with the longest international reach. The plane patrols more than 42 million square miles in the Gulf of Mexico, the Caribbean Sea and the Pacific Ocean — an area almost 14 times the size of the continental United States. Customs and Border Protection maintains a fleet of 14 such surveillance aircraft; they are sometimes airborne for as long as 12 hours in drug transit zones. Last year, the P-3 aircrews contributed to 145 drug seizures, helping American and foreign authorities capture a combined 34,108 pounds of marijuana and 193,197 pounds of cocaine, according to Customs and Border Protection records. On its most recent mission out of Costa Rica, the surveillance crew tracked a small boat off the coast of Colombia. The boat sat low in the water, with three men aboard. William J. Schneider, a P-3 pilot, said the boat was likely carrying a large load of cocaine as it made its way north toward Mexico, and ultimately to the United States. The Homeland Security agents notified the Colombian navy of its location, but flew on, unable to stop it alone.